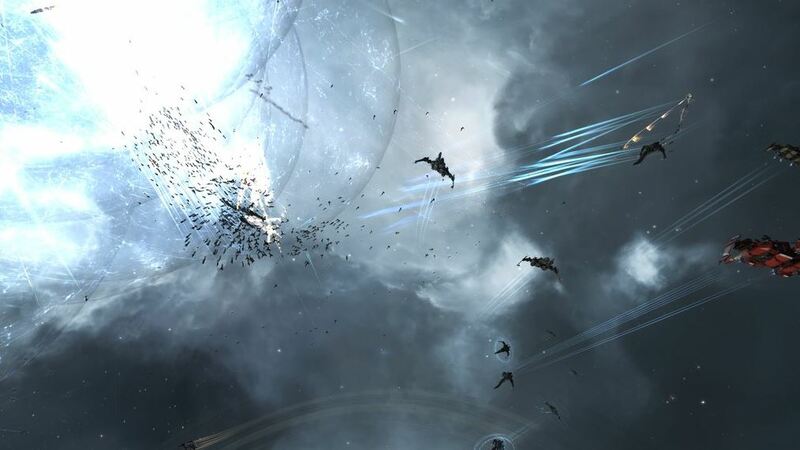 Unless you’ve been living under a rock, I’m going to assume you’re aware of a few things that are happening in EVE right now, namely that there’s a World War (Bee) happening and that many of the major players (Mercenary Coalition, The Omega Security Syndicate, Hax., Suddenly Spaceships, Out of Sight., and Chaos Theory. to name a few) are being paid to take part. It’s the latter half of that previous sentence I want to focus on. I’ve written a lot about people being paid to fight other people in EVE; we call them mercenaries. I also have a personal paradigm of what it takes to qualify as a mercenary and I believe we’re in the early phases of a mercenary renaissance the likes of which we haven’t seen since Dominion. As I always do when talking about mercenaries at a high level, we have to establish the definition. Just as someone must successfully complete a series of tasks in real life to earn a qualification or title, I believe that an organization must fulfill one, basic principle to be called a mercenary. The bulk of an organization’s effort is focused on providing content through contracts offered by other players for a fee. Pretty simple, right? But it’s a bit more complicated than it may first appear and it even has a bit of a grey area. There are a ton of corporations and alliances in EVE that have received ISK or in-game goods for services rendered a handful of times. I don’t include these in the definition of a mercenary. For most of these organizations, these contracts were found on the wayside and then forgotten as they moved on. They didn’t consume much time or effort from the organization in the long run. Likewise, there are some organizations that take a lot of contracts yet only do them so far as it lines up with their day-to-day activities. One example (although not the only one) is when an organization camps trade hubs as their main activity, and will continue to do so whether someone pays them to or not, but will accept a contract if offered. These groups aren’t included either. Their primary gameplay is completely unaltered by a contract. 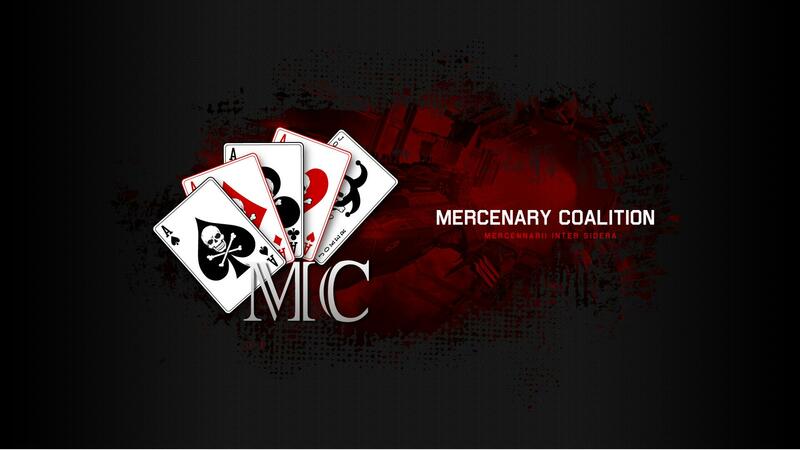 By my definition, a mercenary organization focuses its entire playerbase day in and day out on completing a contract. And when that contract is over, beside rest periods, the focus of the organization as a whole is finding and completing another contract. They don’t pick up contracts as an afterthought, but seek them and eagerly complete them. There are exceptions, mainly in the form of Pandemic Legion. They’re so large, so expensive, and the services they render can be so complex that they simply can’t spend all their time on contract – people simply can’t afford to keep them on retainer and there aren’t enough contracts worth their time. With this in mind, The Mercenary Wars doesn’t make any sense as a name for World War Bee. Almost all of the Money Badger Coalition (MBC) member alliances aren’t paid for contracts on a regular or even semi-regular basis. It’s likely that, after this war, most of the alliances will never be offered a paid contract again. So how can I claim there is a renaissance if most of MBC have never been offered a contract before and likely won’t again? Because World War Bee has proven the effectiveness that ships for hire can have on the landscape of New Eden. Even if the war ended right now and the battle lines remained frozen in place at the current demarcation, the result would be an astoundingly positive endorsement for hiring mercenaries to do your work – provided you can afford it. Let’s not sugar coat it though, it obviously took a vast sum of money and a lot of players to get this far. Additionally, the enormous victories to date are in large part thanks to the Imperium’s complete lack of will to fight. However, it’s also quite clear that a well paid, well organized mercenary coalition (no affiliation) can absolutely dominate the objective. It’s important to remember that an appropriately sized solution needs to be applied to the problem. When attacking an Imperium-level problem, a Imperium-sized solution must be applied. Luckily, most problems aren’t Imperium-sized. There are a lot of things that are happening (and will be happening in the very near future) in EVE already that could use some good, old-fashioned mercenary knowhow. For too long, people have thought that mercenaries weren’t useful and they were right. But in this renaissance period, there is a proven track record for effectiveness and plenty of opportunities to display it. The question is how do you find out if your mercenary is up to the task? A killboard doesn’t tell the whole story. There are times in my mercenary career where we’ve been tasked with shutting down a region so that no one undocks. In those contracts, we typically see a steady stream of kills at the beginning which then trickles off to practically zero. And that’s exactly what we were hoping for. We had a very happy client. A good mercenary organization is going to have a record of its contracts that tells you what the overall objective was, any pertinent constraints, and can tie that to a killboard for data verification. Keep in mind that this information may be somewhat vague due to privacy of the client, but you should have enough information (and enough examples) to come away with a good idea if someone has been able to actually perform and if they are flexible enough to take on difficult, changing contracts. The viability of the mercenary career has always been tied to war. Without war, very few of the mercenary organizations can actually survive. There are hundreds of examples of organizations falling to the wayside and focusing on other gameplay styles because the content simply wasn’t there. The ones that do survive may have to lower their fees or simply exist on reputation alone. Without war, there aren’t mercenaries. It doesn’t take Nostradamus to see that, while not a certainty, war is likely to remain on the horizon for a long time to come. And if that turns out to be true, mercenaries will continue to be in high demand. Some will rise, making a long-term name for themselves in the community, and others will fall, defeated by the enemy or internal stresses. Perhaps some of the alliances that entered World War Bee as first-time mercenaries will continue down the path, or maybe some of the players involved will want to strike out on their own. Regardless, EVE has never seen so many mercenaries at once and like the famous artists of the Italian renaissance, not all of them will be remembered, but their work has already changed the landscape of New Eden forever.